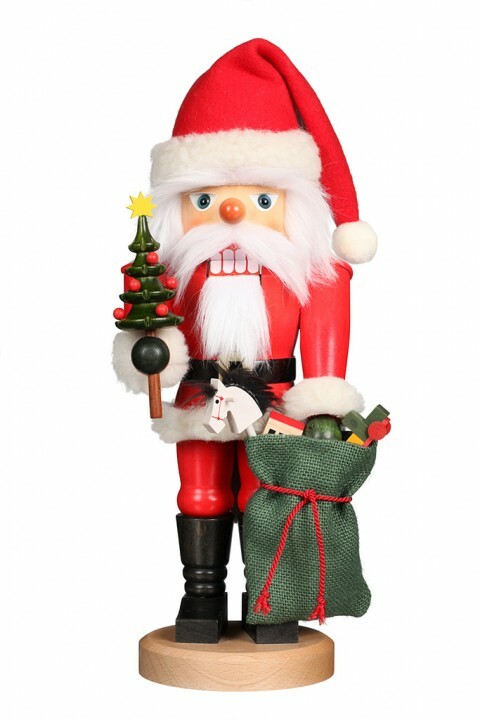 A classic is the stately nutcracker Santa Claus. The bright red fluffy cap keeps him warm when he's out on Christmas Eve. The children are waiting eagerly for his appearance. In the bulging gift bag is something for everyone - a horse, house and ball, and even a car! The lovingly decorated tree beautifies the Christmas room.